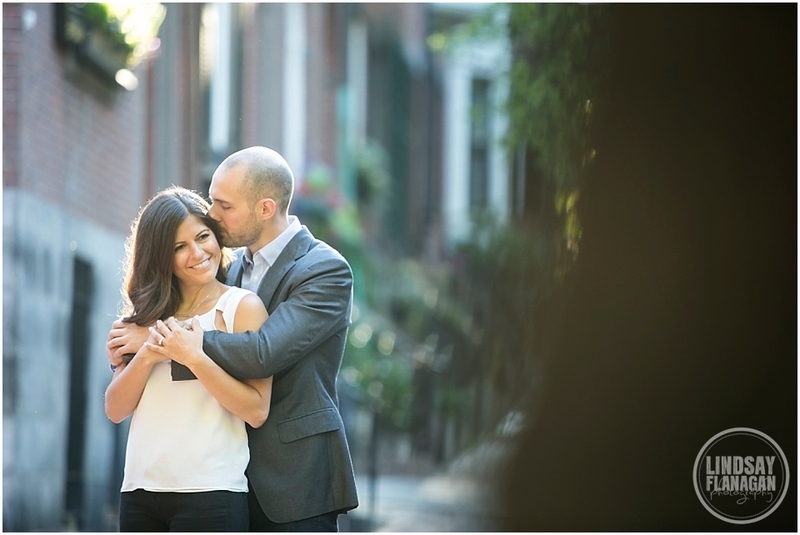 Stephanie and Brock are in the midst of relocating to the west coast, but since they met and fell in love while living and working in Boston, they wanted to incorporate the city into their engagement session and wedding. In May, they were only in town for a few days—days which were packed full with wedding-related meetings—we knew we only had a short window of time to get together. We decided to meet up early, early, early one Friday morning (and by early I mean 5:30am) to take advantage of the beautiful morning light. Not only was the light amazing but the city was practically empty, which made the already magical city even more magical. The sun was peeking out over the tops of the buildings near the Public Garden, and the city was just starting to wake up, with a few random people running or walking to their early morning jobs. Stephanie and Brock arrived looking gorgeous and wide awake—I was very impressed! Before the session, Stephanie had warned me that Brock does not like to get his picture taken. Well, Brock did a great job! I would never have thought that if she didn't mention it to me. Both of them were true naturals in front of the camera, and it made my job easy. At one point, Brock made Stephanie laugh with a sweet whisper in her ear. I have no idea what he said, but whatever it was, it worked! I love moments like this. 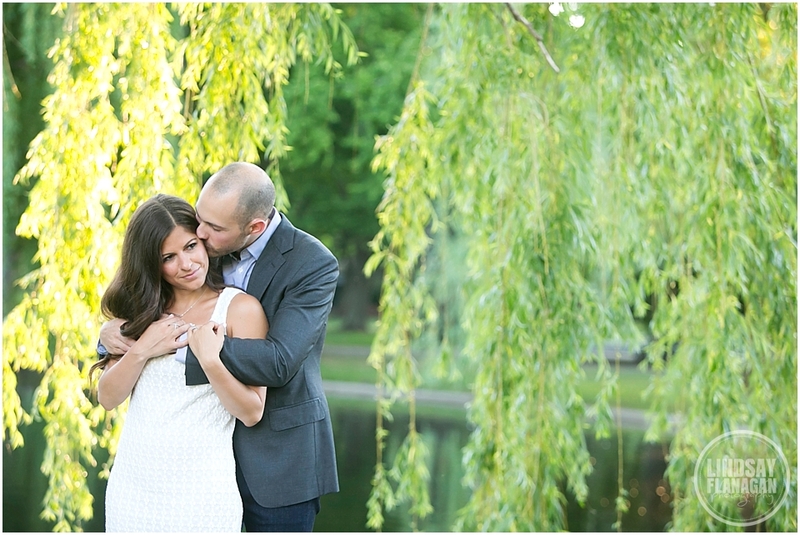 Another favorite image was the one where the well-known bridge in the Public Garden was completely empty, and I was able to get the couple alone against that iconic background. I would never have been able to capture a moment like this if it wasn't so early in the morning. Another great reason to do a sunrise session! 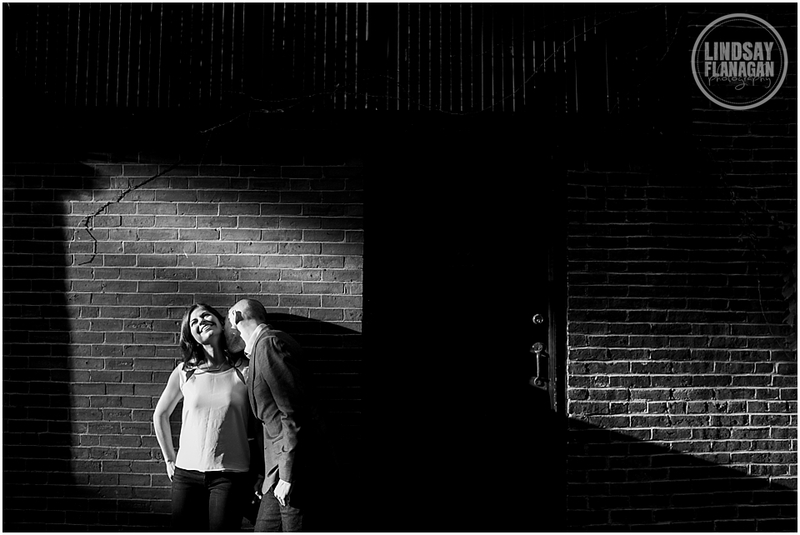 I had a blast working with you, Stephanie and Brock! 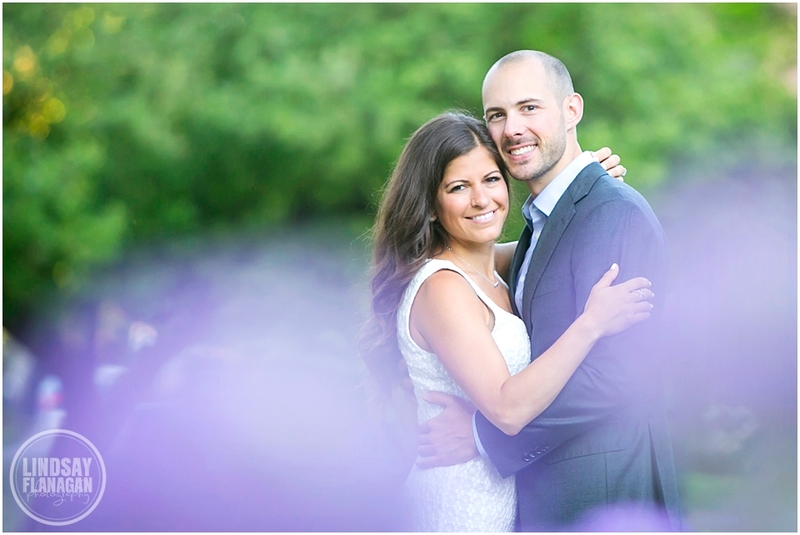 I can't wait for your wedding this fall at The Battery Wharf Hotel!